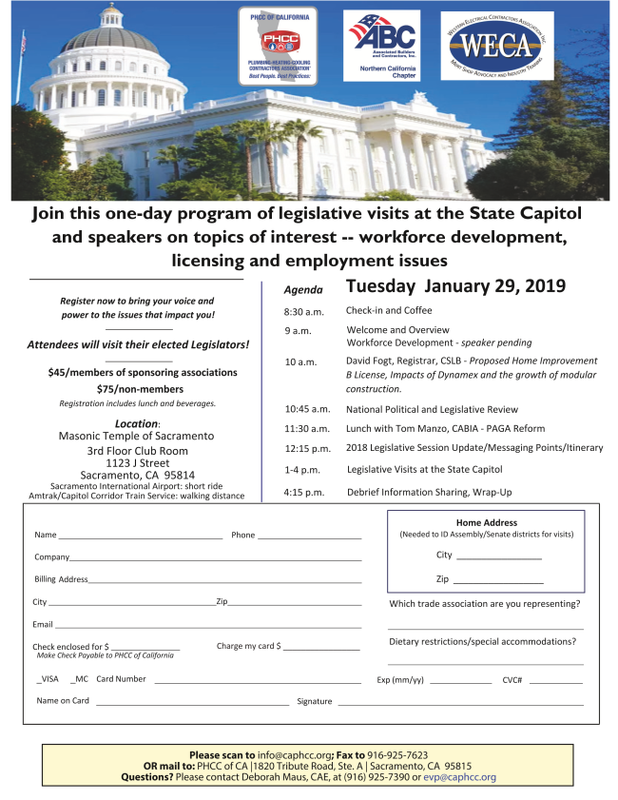 Join us on Tuesday, January 29, 2019, for a one-day legislative conference with visits to the State Capitol, and featuring speakers on Workforce Development, Licensing, and Employment Issues. We hope to see you there! WECA members and their employees receive a discounted price on registration.